Three-way, floorstanding, dynamic loudspeaker in two sections. 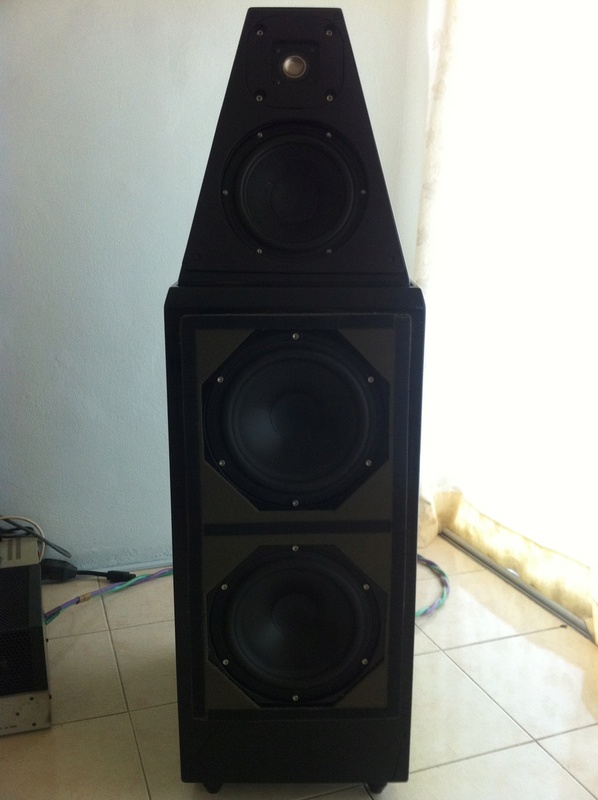 Drive-units: 1" titanium-foil inverted-dome tweeter, 7" midrange cone, two 8" woofers. Crossovers: 125Hz, 2kHz (approximately). Frequency response: 21Hz-21kHz, +0/-3dB. Nominal impedance: 4 ohms. Sensitivity: 93dB/W/m. Dimensions: 40.25" H by 12.25" W by 18.5" D. Weight: 170 lbs (WATT, 65 lbs; Puppy, 105 lbs).